There are several types of drones on the market today, from Do-It-Yourself (DIY) options to Ready-To-Fly (RTF) models, with almost-ready-to-fly (ATF) drones falling in between. For a majority of beginners, ATF and RTF drones will get you in the air the fastest with many models ready to fly within minutes. In terms of cost, beginner pocket drones can cost anywhere from $15, while racing quadcopters can set you back $800. 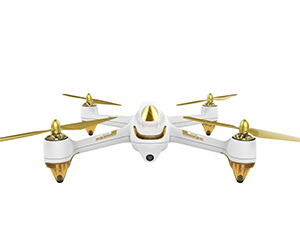 Quadcopter pilots looking to save on a drone purchase can find a variety of special offers on drones of all skill levels, including free gift offers, instant discounts and free shipping specials. Several authorized resellers will not collect sales tax in a majority of states as well.